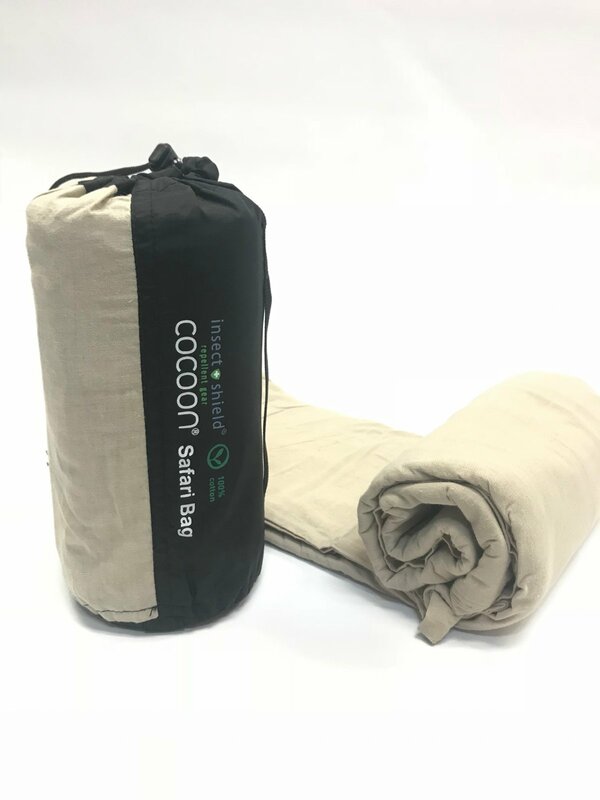 COCOON INSECT SHIELD Travel Sheets are extremely lightweight, roomy warm weather sleeping bags or rectangular sleeping bag liners with built-in insect protection. They offer a hygienic sleep environment and comfort in hotels, youth hostels, alpine huts as well as on boats, planes and trains. Repellent Technology makes them perfect travel companions to all regions where bothersome and potentially dangerous insects may bite - for a better night's sleep. Insect protection is tightly bonded to the fabric of your COCOON Travel Sheet. It is invisible, odorless and no threat to your health. Repels mosquitoes, ticks, ants, flies, fleas, chiggers, and midges. 86" X 35", 14.5 oz.